May I call you Jeff? We don’t know each other, but you were kind enough to answer my tweet after this post, so I feel like we kind of do. Congratulations on the release of the latest Diary of a Wimpy Kid title, and your place atop various best-seller lists. If I could have a moment of your time, I wanted to let you know the impact your books have had in my house lately. 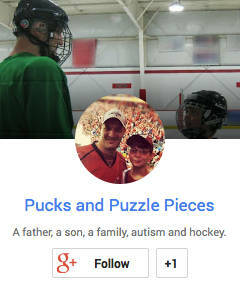 You see, my son, Ryan is on the autism spectrum. He has an amazing mind. He can calculate hockey (and now football) statistics in his head. He memorized the results of two entire NHL seasons, a staggering feat. But reading? Reading has never come easily. Learning to read was a laborious process. First he learned to recognize the words on the page and speak them, but at the same time he wasn’t forming a mental picture of what they meant. He could read a paragraph aloud but not be able to answer the most basic question about it. As a result, reading was frustrating. But with the assistance of an incredible resource-room teacher at his elementary school, he slowly began to master the process of reading the words while simultaneously processing their meaning and creating a mental picture. Reading remained a chore, but the door to the incredible world of books was at least cracked open. We searched and searched for books that might capture his interest. 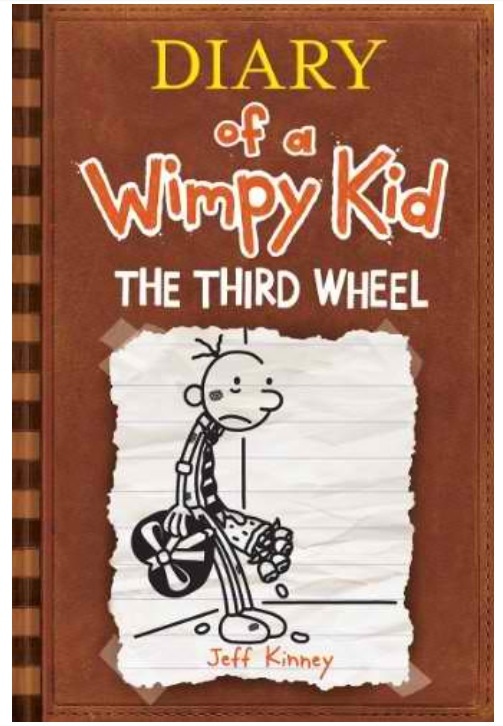 The Diary of a Wimpy Kid series was suggested early on, but he didn’t connect with the books on the first few attempts. We borrowed several titles from a friend, but they mostly sat on his bookshelf, unread. Every few months we tried again. Sometime this year, it clicked. Ryan still wasn’t voluntarily reading your books, but he was at least listening, and laughing, when we read them to both kids at bed time. He willingly attended, and enjoyed, the latest Wimpy Kid movie this summer, one of the few times he has tolerated a feature-length film. All the while, his reading was progressing. We had a major breakthrough on our summer vacation when Ryan voluntarily read an entire chapter book, simply because he was interested to learn the outcome, for the first time. All his previous reading was in prescribed 20-minute chunks. Back in school this fall, Ryan returned from library one day with a different Wimpy Kid title. And an amazing thing happened. He shut himself in his room to read — and kept on reading. He finished the book in one sitting, emerging to tell us the hilarious details of Greg and Rodrick’s latest adventures. Then this happened. I sent you a tweet about it, and you answered. I showed the tweet to Ryan and his eyes lit up. We circled the date for the next Wimpy Kid book release on the calendar. That was Monday. Veronica picked up a copy at Target Tuesday. She had to fight Ryan not to run off and read the whole thing in one sitting. We wanted to read it together at bed time. Ryan usually tries to avoid bed time reading. Not yesterday. Yesterday, he begged me to start. And when we zipped through the first 40-odd pages, he begged me to keep reading. We made him promise not to read it on his own before the next family bed time reading session. I wish you could have seen it. Laughter spilled out of him like a pot boiling over as Greg described what he remembers from his time before being born. He made me back up and re-read several parts. His laughter was infectious. Pretty soon, we were all guffawing. So many of these sessions, meant to slow down Ryan’s internal motor before lights out, are a struggle. Not this one. Ryan loves that your characters are mischievous and get in trouble and that their parents aren’t always the brightest. He loves that Rodrick is obnoxious. I’m a little worried that Rodrick is his favorite character, but there’s a logic to it. Rodrick slept through Monday Night Football in one of the books, so Ryan knows he’s a sports fan and that’s the real reason he loves him. Ryan would also like it if Greg were a little more interested in sports and a little less interested in girls because girls are stupid, don’t you know. But we’re kind of happy that Greg likes different things and is interested in girls because we’re trying to teach Ryan that people don’t have to be identical to you for you to like them. Mostly I love that Ryan has found a connection, and a joy, in reading your books. They have shown him the possibilities that books hold. They have provided the key to unlock the door to an incredible world of imagination and learning and fun that has never been more than slightly ajar. PS: Can you hurry along with that next title? No pressure. Wimpy Kid is huge with my oldest. Huge. For many of the same reasons you state here with Ryan. We read the new one yesterday… some of it, anyway…love that our boys have found books that captivate their attention and encourage a love of reading!